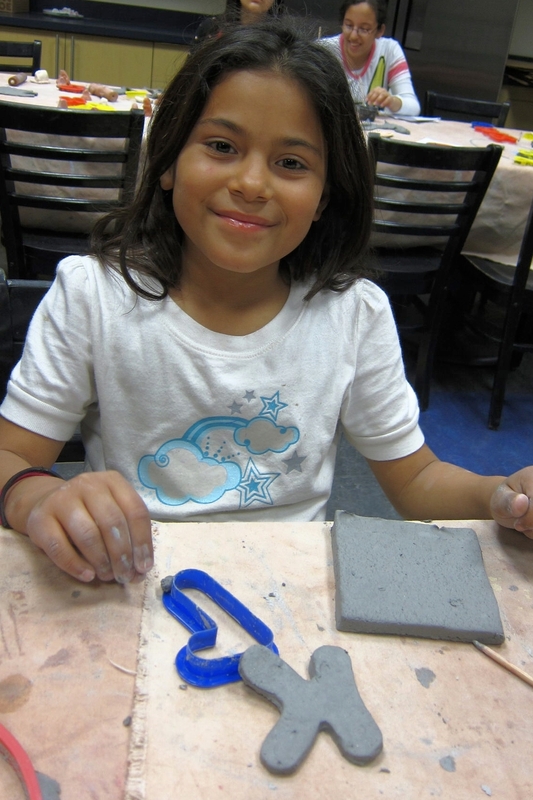 PURPOSE: Enable youth to facilitate the inclusion of children from local recreation center in the creation and installation of a mosaic mural. MAJOR TAKEAWAY: Practicing to be an agent of positive change will reveal a transformed world surrounding you. 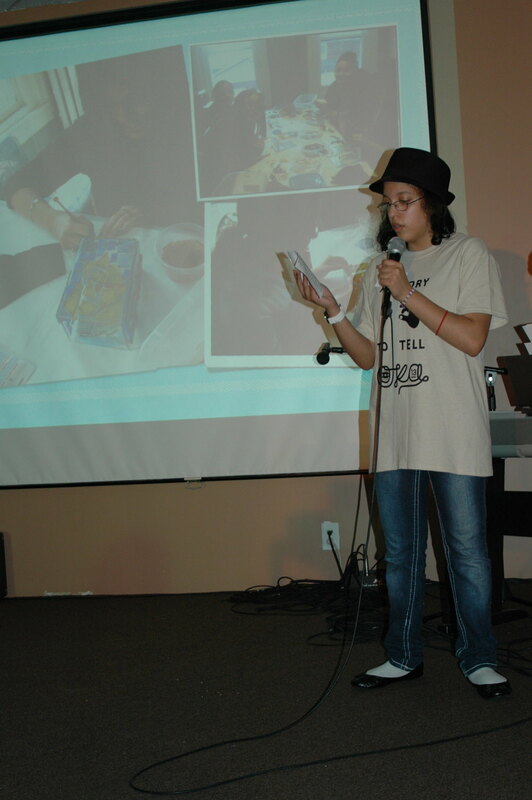 The focus of Orange Korner Arts’s summer program, Oaks of OKA is to enable the youth in our community to be agents of positive change in their own spheres of influence. Our summer activities are fashioned to give them opportunities to exercise this role of leadership incorporating it into their self-identity by practicing activities using their influence for positive transformation. The Lenfest Center is a recreation center located in our neighborhood of Hunting Park which focuses on improving the physical, mental, and emotional health of youth in grades K-12. The director approached Orange Korner Arts about facilitating an art project to be installed in their main lobby. They wanted to include their youth participants in the design and implementation of the project. At the time, I was teaching a mosaic course at OKA and the director and I decided that a mosaic would work well for what they wanted to accomplish. We conducted two tile-making workshop with the youth at the Lenfest Center where they learned how to make tiles with clay. We asked them to create tiles that depict the favorite activities they enjoy at the Lenfest. 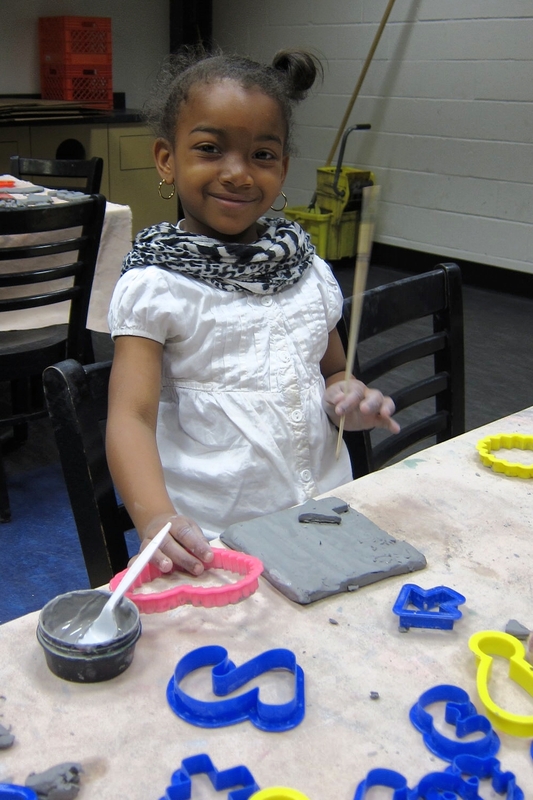 The spring exhibition gave our mosaic students the opportunity to uplift the youth from the Lenfest Center. They presented their design for the mosaic and displayed all of the tiles created by the Lenfest youth. Our students acknowledged the Lenfest youth present at the exhibition and gave them a round of applause. My students spoke to me later about how great it made them feel to provide for the Lenfest youth this experience of the greater community truly celebrating their accomplishments. 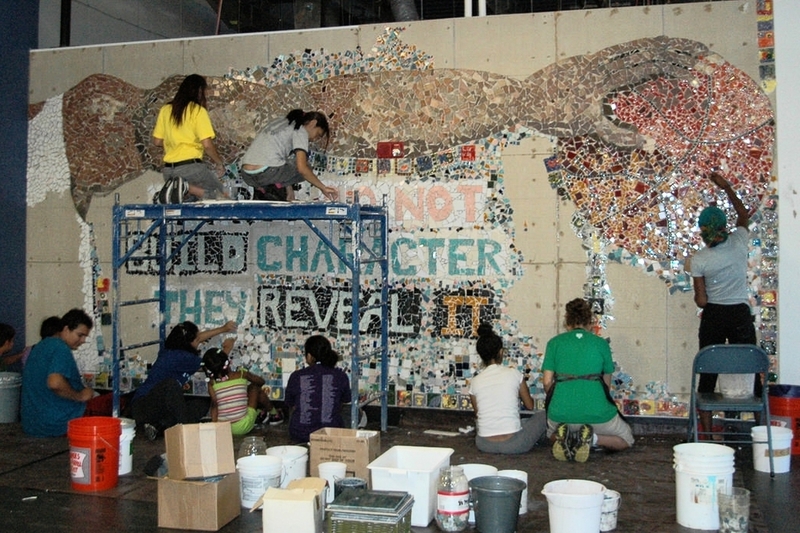 That summer, the youth in our Oaks of OKA program worked with the youth at the Lenfest Center to install the mosaic. Each morning we were greeted by a group of kids who were excited to get started on the wall. 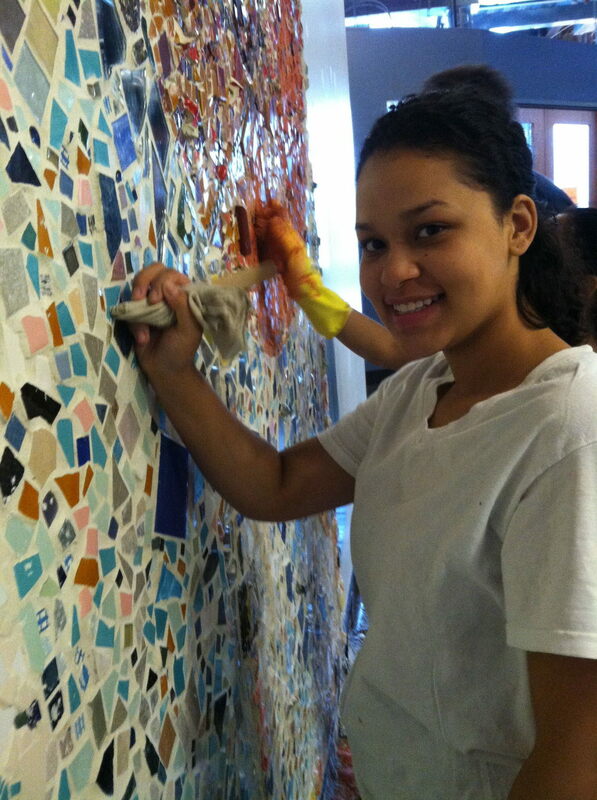 Our youth were paired with one or two of them and then helped them tile the wall. They were really excited to see their own tiles as a part of the mosaic. Our youth were now creating an opportunity for the Lenfest youth to be agents of positive change in their own space. We held an unveiling ceremony and invited all of the youth participants and their families. Everyone involved was extremely proud. The youth involved in the Oaks of OKA program left that summer with a story of positive transformation that they had enabled. Our intention is that through this experience, they will carry with them a sense of calling to give back of their tools and talents to further initiate positive change in all aspects of their sphere of influence.